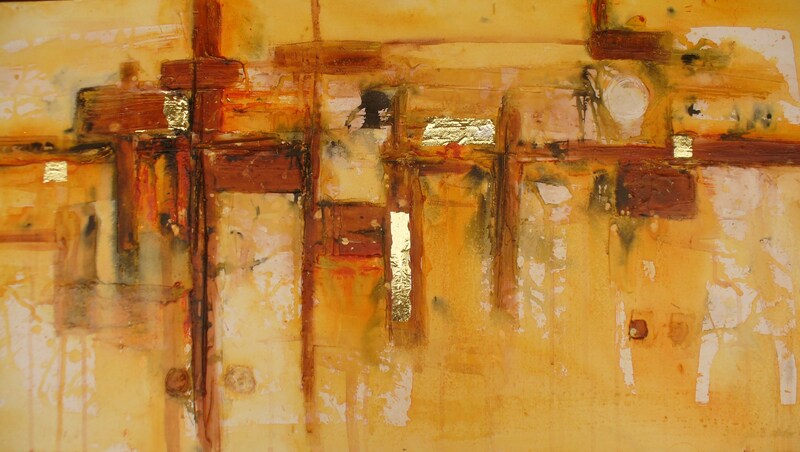 Golgotha Gold was painted to remind us of the gift of life God has given to all of us. There are the 3 crosses of calvary , the dice thrown by the soldiers as they tossed for Jesus’ robe (bottom right) and gold throughout symbolising the preciousness of this gift. I hope everyone has a safe and blessed Easter . 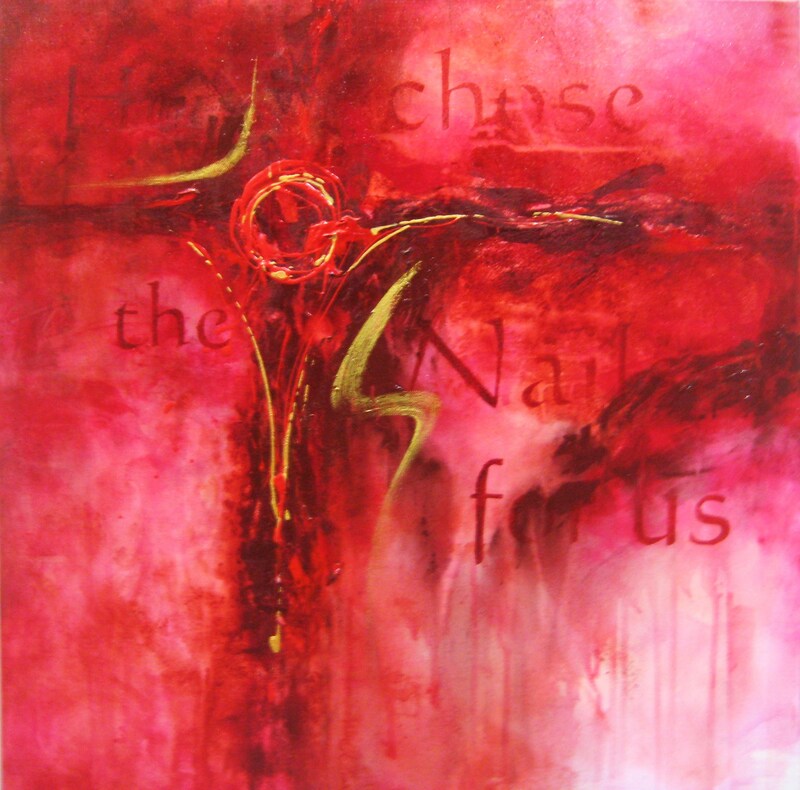 This piece was inspired by the worship song ‘Above all’ and some of the words of the song are included in the painting. 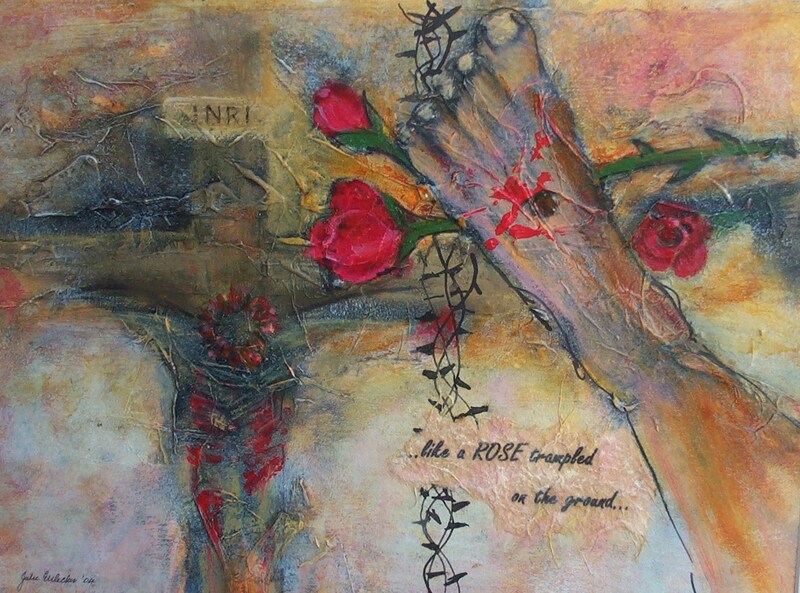 It is one of a few paintings that will be exhibited in an evening called ‘Journey to the Cross’. It will be an interactive and contemplative discovery of the ‘stations of the cross’ and will be held this Wednesday evening 31st March, 7-9pm at Bracken Ridge Baptist. As well as art there will be live music, communion, good coffee and paska or simnel cake. All welcome.